Parallel and Distributed Knowledge Discovery (PDKD) is emerging as a possible killer application for clusters and grids of computers. The need to process large volumes of data and the availability of parallel data mining algorithms, makes it possible to exploit the increasing computational power of clusters at low costs. On the other side, grid computing is an emerging “standard” to develop and deploy distributed, high performance applications over geographic networks, in different domains, and in particular for data intensive applications. 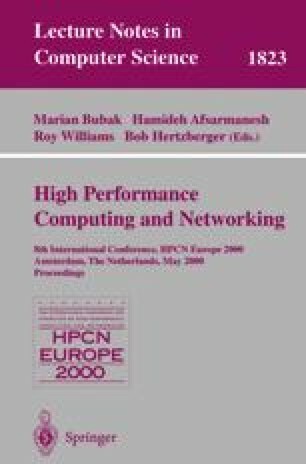 This paper proposes an approach to integrate cluster of computers within a grid infrastructure to use them, enriched by specific data mining services, as the deployment platform for high performance distributed data mining and knowledge discovery. Building the Grid: An Integrated Services and Toolkit Architecture for Next-Generation Networked Applications, Working Draft, http://www.gridforum.org/building_the_grid.htm. The Globus project, available at http://www.globus.org. The Nimrod project, available at http://www.dgs.monah.edu/~davida/nimrod.html.